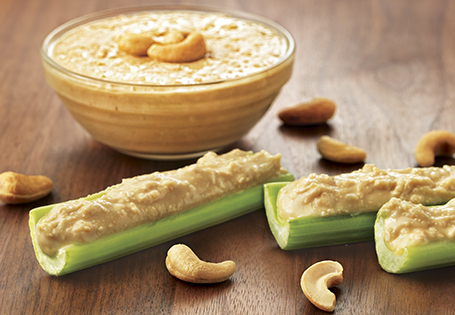 A great alternative to peanut butter. In a food processor bowl, combine cashews, 1 tablespoon coconut oil and 1 teaspoon honey until blended. Scrape down sides and continue processing until smooth. Add 1 more tablespoon of coconut oil if you would like the cashew butter to be smoother. Add ½ teaspoon of honey if you would like the cashew butter to be sweeter. Store cashew butter in a sealed container in the refrigerator for up to 2 weeks.